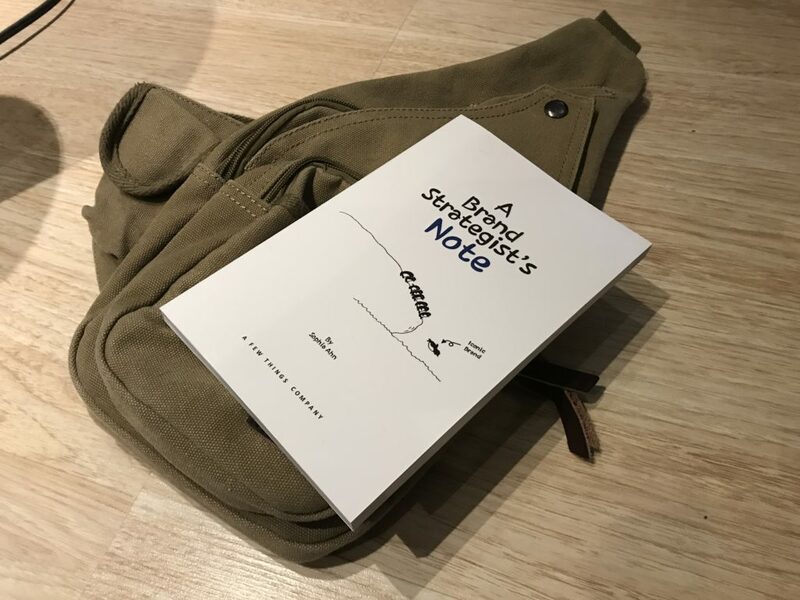 A Brand Strategist’s Note is a book about marketing concepts and aimed to beginners new to the subject. It’s meant for a casual, enjoyable read without a bunch of heavy business lingo that one might expect out of a marketing book. And I’ll be honest, I’m scared to read about marketing concepts, even with something as simple as a Udemy course. I’ll go tackle a quantum string theory book faster than a book on marketing. On an honest level its something I do struggle with as an entrepreneur because of how my brain works. To me, marketing always seems like an abstract “social science”; my mind is often procedural, logical and operates on past data to come to a conclusion. Great as a programmer and a technician, not too good for a business person. Oops. But this? This book wasn’t the same as other marketing books I’ve read in the past. In fact, I was able to not only read it but actually enjoy and understand what was being said. It wasn’t just a bunch of pep talk to push your product. It wasn’t chocked full of buzzwords that only a marketing major graduate would understand. This was fun. That itself says a lot. 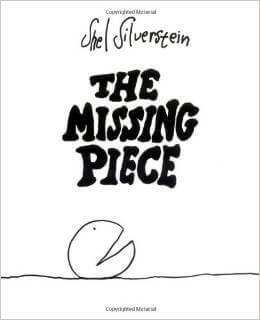 Immediately upon looking at the book without reading anything, I get a The Missing Piece kind of vibe. Covers are meant to sell a book and this definitely got me interested in it. Despite its overtly simplistic nature, it had my interest. Especially as someone who’s familiar with kid’s books or online comics like xkcd. And when you start reading it, you won’t be disappointed. Remember what I said about this being a light read? Don’t let the thickness fool you. Typically this book is almost in size to a paperback young adult novel in dimensions, which would equate to an hour or two of reading. However, this book is mostly quotes and illustrations. While this means less content than your traditional business book, its no less informative. The information is concise, easy to understand and straight to the point. No fluffing up. No burying with filler to look “big”. It’s quite direct. That brings up two of the biggest points I liked about this book; the art and content. First, the art. That’s what caught my attention the most. I guess it’s kind of obvious with me doing digital media and all. The doodles are very cutesy, simplistic line drawings that can easily be done with a pencil or something quick in Photoshop. Despite being very little, they spoke a whole lot. This also gave it a kind of whiteboard/self-made quality. It felt down to earth and honest. It was a different change from tight, clean business graphics that I’m familiar with when having worked on past business clients’ books. It has this vibe of a friend teaming up with me to doodle stuff for something I was writing. And while I’ve seen similar art styles that people have used in their “branding packages” on certain websites, this was a bit different. For me at least I think it was because how figures were drawn. That was the unique aspect for me. Before swapping to the next point, I want to actually praise the design inside. When reading some of the text I noticed some slashes scattered about, thinking these were some sort of mistake. However, I quickly realized that this was basically “bracketing” around a portion of the book as if it were comments when coding. Names and such were denoted in the classes brackets (<like this>). Unconventional but pleasing. A good chunk of the book was quips in bold letters such as “brand icons speak less and show more as they mature” for example. Usually a one sentence, gold-nugget advice with an accompanying illustration on the other page. The other portion were tried and true quotes from marketing masters; people like Steve Jobs, Sasha Strauss and Howard Gardner. Their snippets of insight were extremely valuable and easily pointed someone lost into the right direction. This was something that the author briefly shared with me before agreeing to review her book. It was a “pick up and run with it” book, meant for even someone who had no idea what to do with marketing strategy in the first place. The actual advice in this book seemed solid. In fact, this is actually one of the major points of this book that I liked. 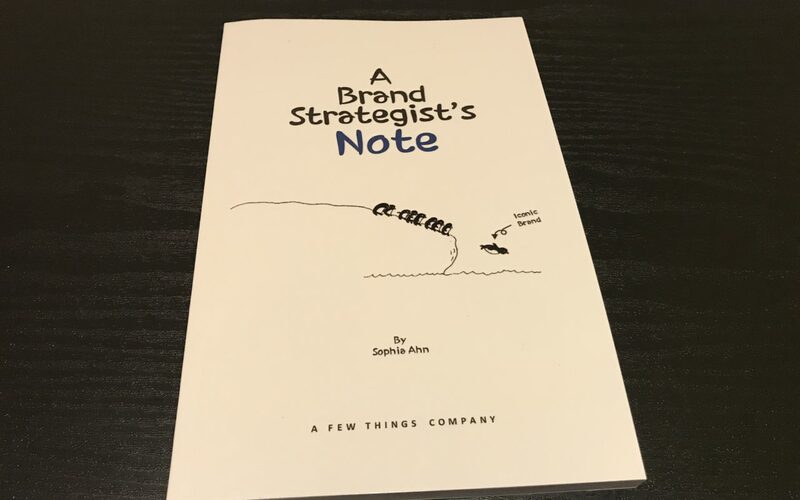 With the few things I know about marketing, what Sophia describes in her book came across as real, genuine and authentic advice. That’s the part that really hit home. As I briefly touched on earlier, most marketing books I read seem too difficult for me to process or like some marketing gimmick. Typically the latter. Most seem to just be motivational get-gos to just shove your product in everyone’s faces, promising you more solid advice if you buy another book or their special marketing course. I can say with 100% certainty that Sophia’s book isn’t one of those things. Period. To use an adage from my online gaming friend, “TRUTH slam tankard on table”. Per the book’s design, it’s very nice. It’s a gloss cover paperback that’s smaller than your usual 6” x 9” format. It fits nicely in my sling knapsack, two inches shy of the height of an average tablet (but the same width!). I can take it somewhere with me without having to take a bigger messenger bag (which is usually the case with almost all my other books). I haven’t seen an eBook version of this book yet, so I don’t know if there’s one in the works or if this is a paperback-only release. This is the only thing I can think that can be improved upon. On an off-note, this does seem to be a book adapted for an English audience, with another edition written in Korean pending release. I don’t have a lot of information on that edition but I’m assuming they’re similar except for the language they’re written in. So if you’re looking for a simple and beginner’s guide to marketing that’s a nice read, do check it out. You can pick it up off the almighty Amazon currently. Also do swing by the author’s site and social media to see what else she’s been up to. You won’t regret it. *This is a paid promotional post. The book in this post was also donated for free. The thoughts and opinions in this post are my own expression and not influenced by the author or company. This post does not contain affiliate links. This is a disclosure per FTC 26 CFR, Part 255.